Coton de Tulear rescue groups are run by people with an extensive knowledge of the breed. They keep animals until they can be placed in a good home. These dogs can come from failed breeding attempts, dogs that are lost or abandoned, or through local animal shelters. What a fantastic option for Coton de Tulear lovers. You get to help a dog in great need and enjoy a wonderful addition to your family at the same time. Many small dog rescue groups have strict adoption procedures that can include completing an adoption application, checking references, conducting a phone interview, or even conducting a home visit. Is a Coton de Tulear rescue dog right for you? Adopting a Coton de Tulear rescue dog can be a much more affordable option since the Coton dog can be a bit pricey. Rescue organizations are usually all-volunteer organizations and survive on donations and adoption fees. Make sure you understand any additional costs that may be required such as donations to the rescue organization, traveling to pick up the dog, veterinary care, vaccinations, spaying or neutering, or providing any necessary training. Many people think that the majority of dogs that are in rescues are there because they were abandoned, neglected, abused, really sick, or badly behaved. However, there are many well loved and well trained dogs who find their way into these dog rescue organizations too. Actually, the majority of shelter dogs are there because their families couldn’t keep them due to relocation, illness, or financial hardship. Owning one of these rescue dogs doesn’t have to mean inheriting an unmanageable dog with behavioral problems. There are countless stories of shelter dogs making the best pets. So why DO dogs end up in shelters? Some dogs are there because although their owners love them they could no longer care for them due to illness, financial hardship, or relocation. Cotons de Tulear and other small dogs can find their way into rescues when they are left homeless after natural disasters such as earthquakes, hurricanes, tornadoes, and floods. When these dogs get separated from their owners who are unable to find them, they roam around until rescue workers find them, take them in, and provide medical attention if necessary. Then they will go up for adoption. Even those dogs who have been abused, neglected, abandoned, or who are sick or badly behaved are often restored to health and rehabilitated by caring volunteers who spend hours helping animals recover from their difficult conditions. If you choose a pet that has ongoing medical needs the rescue will make sure you get a good understanding of these needs including the prognosis, the need for ongoing medical care and all other information they have available. Puppies are usually harder to find in small dog shelters, especially for rare dogs like the Coton. However, you shouldn't rule out an older dog. Not only do they need loving homes also, but many make an easier adjustment into families than younger dogs do. Most are already house broken, some are trained and easily adjust to new rules - and older dogs are often eager to please. The rescue worker can help you find the right pet for your family and will spend as much time as needed helping you do so. There are some shelter dogs who need special attention - special training or medical attention. This could cost you in time and money so you should understand this fully before adopting a dog with special needs. Because the Coton de Tulear is so rare, it may be harder to find a rescued dog in your particular location. You may have to wait longer for an available dog or be willing to travel further to find your dog. Consider a rescue dog and SAVE A LIFE!! What a great option. Do you already have a rescue Coton? 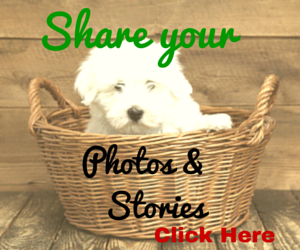 Share your stories and photos. Visit our Coton Rescue page to read about other visitors who have rescue dogs or share your own story. Coton de Tulear Rescue - How do you find your rescue dog? If you've decided that adopting a Coton de Tulear rescue dog is right for you, where should you start your search? Contact UCARE (www.cotonrescue.us) for more information and an application to get started. Petfinder.com is another great resource for finding rescue dogs. Use their quick search tool below to see if there are any Cotons available for adoption where you live. Local rescues and shelters - Many local rescue and shelter agencies will honor your "wish requests". Let them know that you are looking for a certain pure breed dog like the Coton and they will contact you if that breed becomes available.